Air & Grace caught my eye when i spotted their amazing leopard print boots (sold out sorry), then I learnt more about the concept behind the brand - to make shoes and boots that feel like you are wearing trainers and i loved them even more! I do not wear uncomfortable shoes - they are pointless, i have in the past and they have ruined my day/night/feet/mood. Personally i'd prefer to be smaller, comfortable and able to bounce around than long legged, uncomfortable and toppling. So i am super happy to have discovered a brand that is all about bouncy soled good looking shoes and i can't believe that no one has done it before. I've tried and tested these boots and they are amazing, i literally bounced around town in them and i loved it! DATE IT WAS FOUNDED: We launched at the end of 2014 after 18 months developing our patent pending Tender Loving Air technology. It's made of high performance materials traditionally used by sports brands so our shoes feel like trainers. BY WHOM IT WAS FOUNDED: Claire Burrows, it's the culmination of my 20 year career in footwear spanning roles as varied as Buyer at Kurt Geiger to Head of Product Development & Design at Fitflop. WHY WAS IT CREATED: Because we're all busy running around town, and nothing is more miserable than a day in bad shoes. I've got a wardrobe full of amazing shoes but I hardly wore any of them, or if I did I'd regret it by the time I got to the station. I wanted to feel like I was wearing my favourite pair of trainers all the time. So I took all of my experience from high fashion to comfort and created Air & Grace.The secret's in the sole - it's completely hidden so as not to sacrifice style. People tell me it's like walking on air. WHAT WE NEED TO KNOW ABOUT YOUR BRAND: It's all about beautiful shoes for busy feet. I work with high grade manufacturers in Europe (and soon to be UK) and source the best Italian leathers. I've been amazed by the response and support we've had from bloggers and happy customers, people have really embraced the brand. It's been an absolute whirlwind couple of years, we partnered with Teatum Jones for their AW15 catwalk show at London Fashion Week and won the Worth Retail Foundation award, a search for the UK's best new brands. WHAT WE SHOULD BUY FROM YOU:. The range is an edit of the key items every wardrobe needs. People get addicted to how good the shoes feel becoming loyal fans adding each new style to their collection. Personally, I've got a soft spot for the Garance loafer in leopard at the moment, penny loafers are looking so right again and these feel divine. 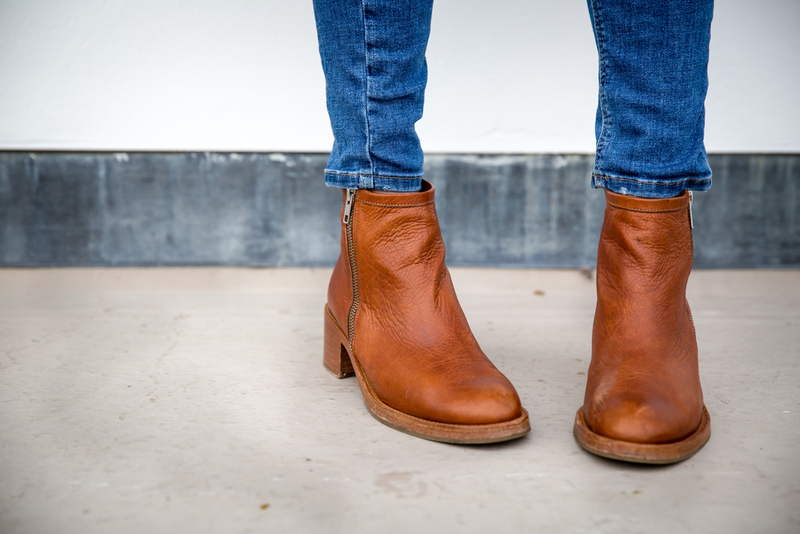 If you want to get your hands on a pair of Jak&Jil boots I'd get in fast, there's only a few pairs left!